Learning a new language can be tough but at the same it can fun and interesting. Not many have strong interests when it comes to the topic of linguistics. In many people’s perspective, learning or being fluent in multiple languages is not considered as living the true American life. Many people leave their homeland to come to the United States to start over and have a new life, while forgetting their past. 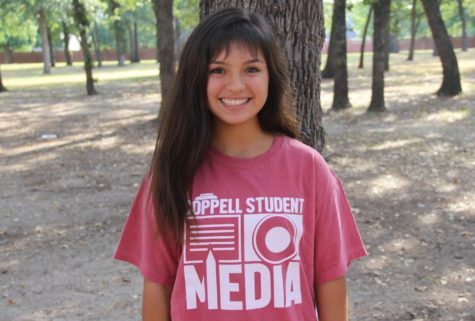 Here, three Coppell High School students share their stories on how learning or being fluent in multiple languages can have a positive impact on one’s life. CHS sophomore Hannah Dunkin: French . 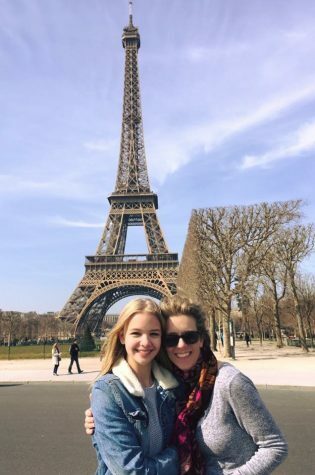 Coppell High School sophomore Hannah Dunkin stands in front of the Eiffel Tower in Paris, which she visited in March. Dunkin has spoken French for many years, which has helped her form a stronger connection to her French culture. Dunkin was born in France and moved to the United States when she was 1. Though she is a currently a French II student at the high school, Dunkin has been learning French for many years. I have been learning French on my own for a couple years now, around sixth or seventh grade but I’ve only have had a real French class since ninth grade. How has learning French influenced your life? Half of my family is French on my mom’s side (German on my dad’s side) and I currently live with my mom so learning French has helped me connect with more of my family and my culture and I get to see and do a lot of things a lot of people don’t get to do. I get to make new friends in France and speak to them and some of my family. Do you wish to travel or study abroad in France or any French speaking country? I have been to France a couple of times to meet my friends and my family and they all want me and my mom to stay there but we live here in the United States. I really want to study abroad in France because it’s a really pretty place to stay or visit. I was going to study abroad in France my junior year (which would be next year) but with all things have gone on over in Europe this past year, my mom and my friends want me to wait until college when things calm down. Smith is currently a Latin student. Have you always had an interest in Latin? I haven’t. I didn’t about until I was in seventh grade and was picking my schedule for eighth grade. I was deciding whether or not to take Spanish or any other language. After talking to a close family friend, I finally decided to take Latin. How has Latin influenced society? I think Latin is everywhere in modern day society. The @ in emails is shorthand for the Latin word apud. Latin roots are in many words, especially those involved in medicine/scientific and law fields. Would you like to continue studying Latin in the near future? Yes, I plan on continuing taking Latin even though I’ve completed two years of foreign language. 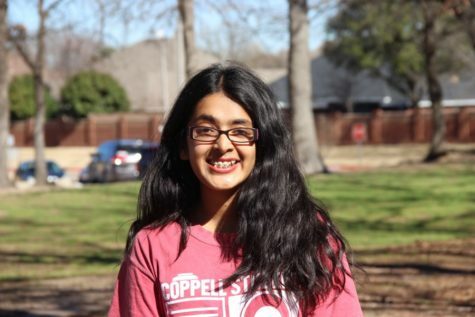 Coppell High School sophomore Besma Khadim’s fluency in Arabic has helped her have a strong connection with the Arab culture. As a child of immigrant parents and going to school in the United States, staying in touch or having some connection with your roots can be difficult but some people still has a strong connection despite of their of busy lives. Khadim shares her story. How has Arabic impacted your life? Arabic isn’t an easy language and by being fluent in it helped me become the person I am today. I feel like if you know another language, it opens up many different cultures and especially because I live in Texas I don’t really get to be apart of Arab culture so by knowing Arabic and being able to communicate with my family and friends, it brings that culture that’s not provided here like an Arab country. I love traveling if I could do it all the time, I would. Life is too short to waste my time sitting at a desk for 13 years just to get a college degree so I can keep working. Saira is a first year staff writer for The Sidekick.